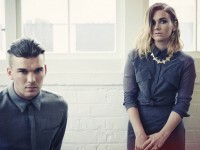 Neon Lights 2015 confirms synth-pop duo, Broods for Sunday’s music line-up. Ghost The Musical in Singapore surprises all with mystical illusions and stunning vocal performances, taking a 90s classic to new heights. Neon Lights 2015, 28 & 29 November, tops its music line-up with four full art programmes; Club Minky, Lit Up @ Neon Lights, Cloud Factory and Easy Street. 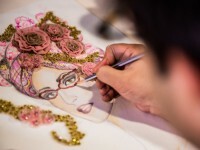 Suneet Varma joins Faces by The Sartorialist with two 3D pieces, immortalising his Indian Princess in his signature style. Are You Ready For Anime Festival Asia 2015? Here’s What To Expect! Anime Festival Asia 2015 is back in Singapore from 27 to 29 November 2015 at Suntec Convention Centre. Here is my (excited) report on the line-up so far! 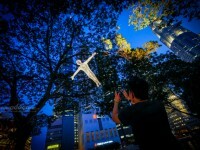 The Empress Place Precinct bursts forth an artistic extravaganza with River Nights 2015. It will take place from 23 to 31 October, from 7pm till late. Stars of Ghost The Musical, Liam Doyle and Andrea Laxton came down to Singapore to tell us more about the show before playing on 4 November 2015. 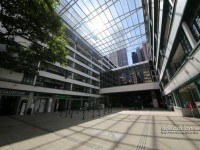 PMQ is a must-go destination when in Hong Kong. It is where you can find the best of the local creative scene, including Luke Jerram’s Play Me, I’m Yours. Noise Singapore presents 34 artists from their Apprenticeship Programme in a collective exhibition, c. 2015 – spanning across DECK and Objectifs. 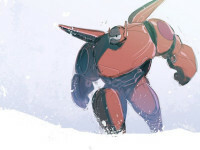 Mecha designer for Big Hero 6’s Baymax, Shigeto Koyama dropped by STGCC 2015 to talk more about his iconic works; Kill la Kill and PSG.